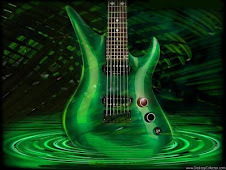 Music is everywhere. Every culture has it. It was always there. It records everything. It's a living history. Those who forget the past are doomed to repeat it, but those who rock remember. About one third my size. As he kept on tooting his horn. Beep! Beep! Is not a car to scorn. His horn went beep beep beep! To give the guy the shake. He still had on his brake. As he kept on tooting his horn. His horn went beep beep! And we took off with gust. Must�ve left him in the dust. I think that guy could fly. His horn went beep beep beep. This certainly was a race. Would be a big disgrace. As fast as I could go. As if we were going slow. In 1952, three students from the University of Connecticut took their comedy show on the road. Within four years, they shed the name "The Nitwits" and transformed themselves into a musical group called "The Playmates". On July 9, 1958, they scored their first big hit with "Beep Beep". Their surprise novelty hit rocketed to #4 on the Billboard Top 40 and became a regular spin on the Dr. Dimento Show. It sold over 1 million copies and went gold. Just as their hit was an innovative novelty, so was the subject matter. "Beep Beep", the song's official title, is subtitled "The Little Nash Rambler". 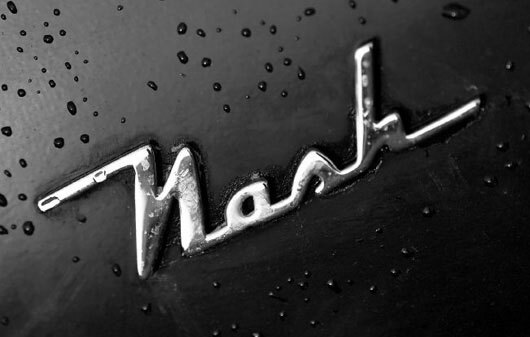 In the 1950's, the Nash-Kelvinator company realized it needed to be more competitive in the automotive industry, and it's president insisted that the next car to roll off the assembly line had to be innovative - different from the other manufacturers' offerings. The result was The Rambler. Originally named the Diplomat (but changed after Nash learned that Dodge had already reserved that name), Ramblers were designed to be smaller than contemporary vehicles while still able to seat five people comfortably, and while this song may have eventually faded into history, the Rambler's did not: Nash Ramblers revolutionized the modern auto industry - they were the first modern American compact cars. 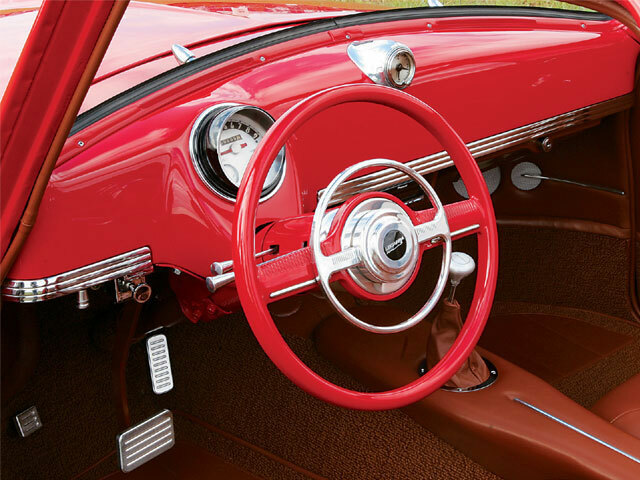 Nash Ramblers rolled onto the market in the model year 1950 and gave Ford, Chevy, and Plymouth a run for their money. For the Nash-Kelvinator company, the strategy was efficiency. 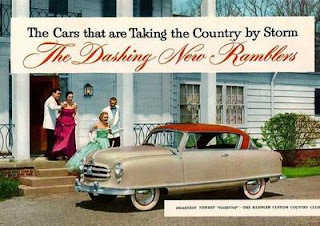 In 1950, the Rambler was a new car, but it cost significantly less than others in its class. Of course, there was no "compact car" class at the time, so it was considered as one in the category of the competitor's "economy" models. The efficiency strategy was a huge success for Nash. Because of their smaller size, Nash could save on assembly materials, and they could pass that savings along to their customers. An added benefit to the smaller body size was that the car used less fuel than it's hulking competition, and so it was more economical to drive. The introduction of the style couldn't have come at a better time: Americans had been exposed to European mini cars during news coverage of WWII, but Americans already knew that "economy" doesn't always mean "quality". The Nash company wanted to make sure that their new vehicle wasn't perceived to be a "cheap little car", so when it was released, Nash only offered the car as an upscale sedan that they called the "Landau" edition. To help with image (and subsequently sales) the Rambler came very well equipped. Ramblers had a 100 inch wheelbase and the 178 cubic inch (2.8 L) flathead Straight-6 cylinder 82 hp engine was already respected in the automotive industry. The options weren't bad, either. Coming standard on the Rambler were: whitewall tires, full wheel covers, an electric clock, and even a push-button AM radio, which was way more than the standard options being offered by the competition. 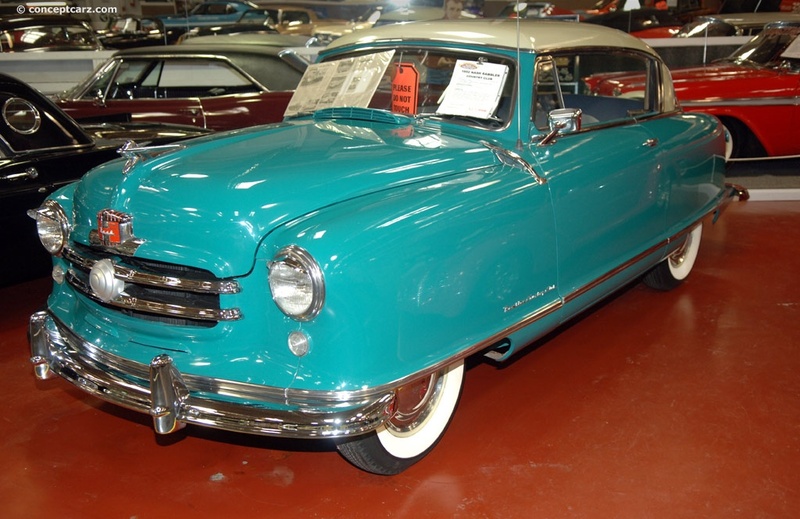 Nash's Rambler changed not only the concept behind 2-door coup design, but also that of the sedan, convertible, and family wagon, which came later in the Rambler years. And of course as far as the song is concerned, Rambler vs. Cadillac is a great David & Goliath story. 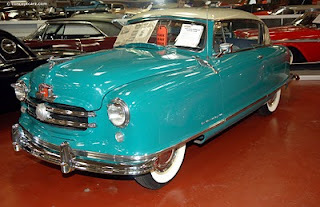 Although not specified in the song, at the time of the Rambler's introduction the Coup deVille was the most powerful and most popular of the GM Cadillac line. Of course, the Caddy was much more expensive, and it had a 330 cubic inch v8 engine...which was nothing to scorn...but scorn the little v-6 Rambler did...and it kept right on going, it's compact design ideas traveling well into the 21st century. Professional photographer. Prog rock violinist. Owner of Vaughan's Rockshop Ltd. and LDGRocktography. Official Photographer & Publicist for KISS LIVE and Original Kiss Army. Contributing photographer for Mr Speed. Schrödinger's Cat lady. I make a terrible cheerleader, but I'm a pretty good instigator. Feel lucky, punk? Sweets, you couldn't ignore me if you tried. Don't try.